When looking into different grills features, you may be faced with what seems like a foreign language. How are you suppose to pick the grill that is best for you if you do not understand what you are reading? While the language used when describing grills will not get any easier to read, understanding what the majority if what it means will help you make an informed decision. Perhaps one of the most important things you should consider is the fuel type. 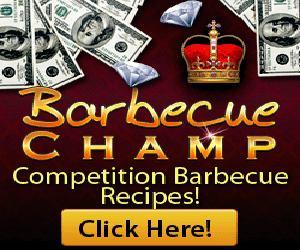 Charcoal grills are one of the most used types of grills. 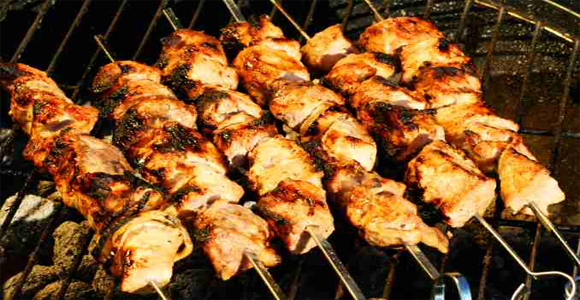 Charcoal grills utilize charcoal and lighter fluid to heat up and cook your food. Charcoal grills come in all shapes and sizes, and vary in cost. Charcoal requires you to buy charcoal and lighter fluid each time you cook with it. It must also be cleaned out each time. Charcoal grills come in small sizes, which are ideal for apartment dwellers or people with small homes. Once you have used your charcoal grill, you can clean it, and store it away. Propane grills are also useful for someone in small areas, since they can come in smaller sizes. Propane grills use propane gas to cook your food. 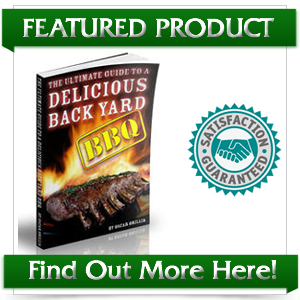 If you want to quickly cook foods while still maintaining a grilled flavor, you may want to consider Propane grills. Natural gas grills are a little more complicated then smaller grills, so they require more room. 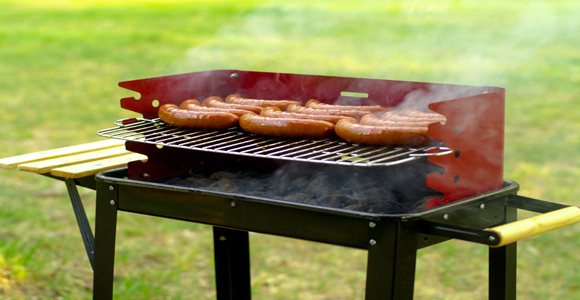 Natural gas grills are meant to hook up directly to your home’s natural gas line, and can cook meat in record time. Smoker Grills are used when flavor is the number one priority. Smoker grills use wood to slow cook your meat. Flavor can be controlled by using different types of woods. 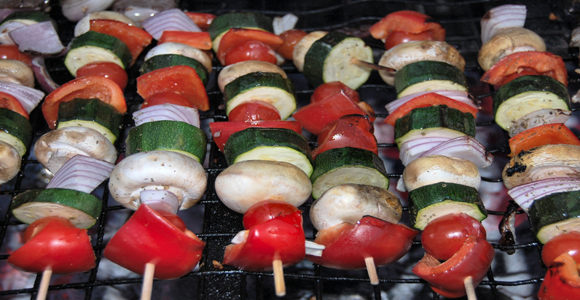 BTU is the measure of the amount of cooking power the barbeque grill as. 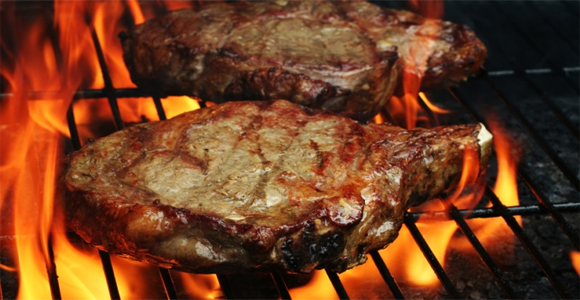 Simple math will be needed in determining the amount of heat that your grill produces. Take the amount of space available for cooking (typically measured by square inch) and divide it by the total amount of BTU’s. Ideally you will want at least 95 to 100 BTU’s per square inch of cooking space. So for example, if you have a grill with 50,000 BTU’s and 450 square inches of cooking space, then you will be receiving about 111 BTU’s of cooking power per square inch. Anything less, and you may want to consider a different grill. The next thing you will want to consider is the cooking surfaces. How much space does it have? Will you be able to cook for just yourself, or you entire family? Depending on your situation, you may want to consider a larger or smaller grill. What about cleaning? Does your grill have anything type of features that allow you to clean it easier? Some grills offer such things as a cleaning door, which allows you to easier remove the used fuels. This is handy if you decide on a charcoal and smoker grill. Some grills have a none stick surface, which allows you to cook without food sticking, and allows for very easy cleanup. Another feature some grills offer the ability to control different areas of your grill with different temperatures. This is typically controlled by knobs on the front, similar to an oven. This allows you to cook different types of foods at the same time. If you want to cook a whole meal on the grill, this can be possible. Starting your grill changed drastically with each type of grill. Smokers and Charcoal burners require you to light the media, the wait for it to burn out and turn to embers before cooking. This can take anywhere from 20 to 45 minutes. 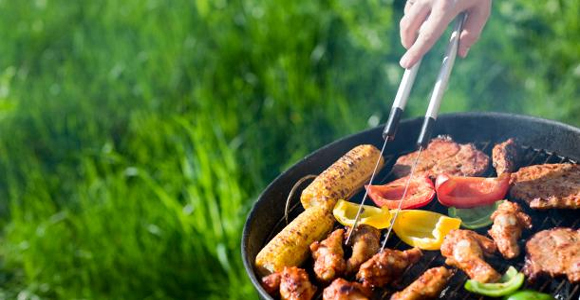 Natural gas and propane gar grills can be started instantly, wither by lighting the burners with a lighter, or by a knob on the front, which is attached to a small hammer that slams into a crystal, causing enough spark to ignite the fuel.